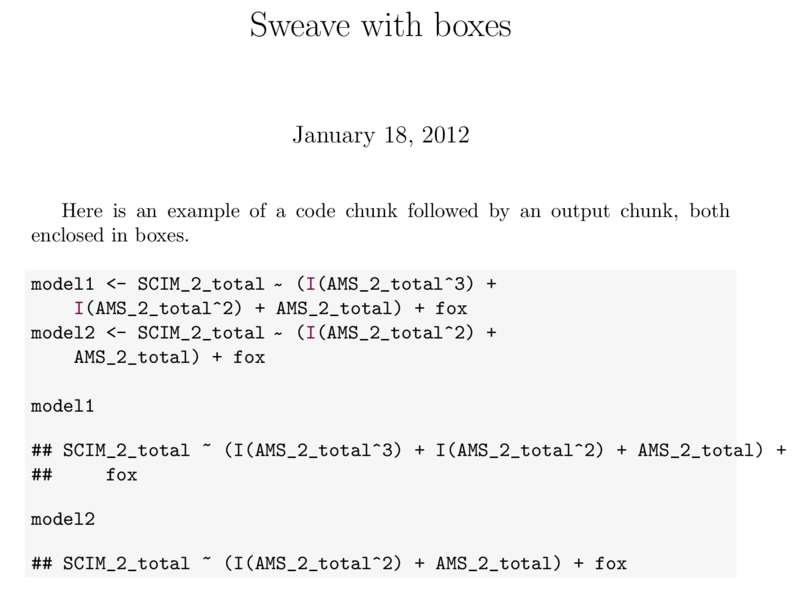 Sometimes I get to make an R code chunk (in Sweave) which is longer then the margins of the page. Is there a way to force it to "go to the next line" once that happens? The input has been nicely re-wrapped and indented, but the output is still hanging into the margin. The styling can definitely be improved by setting additional listings options, but the real problem is that listings really has no way to intelligently break the output lines. 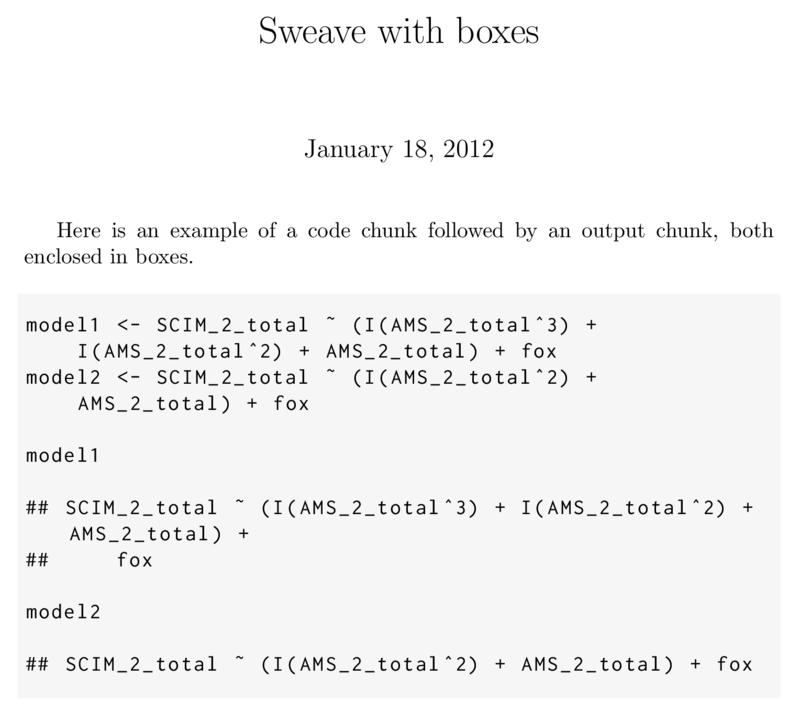 Each line is less than the text width, but the indentation is off and some "beginning of output" delimiters are missing. It is possible that problems with long output may only be properly solved by tweaking the R functions responsible for formatting and printing. Not the answer you're looking for? Browse other questions tagged sweave r or ask your own question. How can I insert Sweave code inside a Beamer block?